Bacteria fill the Earth, and a new scientific study reveals just how prevalent they are. Scientists led by biologist Laura Hug, who currently teaches at the University of Waterloo, mapped a new Tree of Life diagram that contradicts past images. The Tree of Life used to highlight our visible environment, including mainly animals and plants, but the new Tree of Life draws attention to the most massive invisible population on our globe: bacteria. Charles Darwin first conceived of the Tree of Life back in On the Origin of Species, attaching an image to the idea that all life is connected. 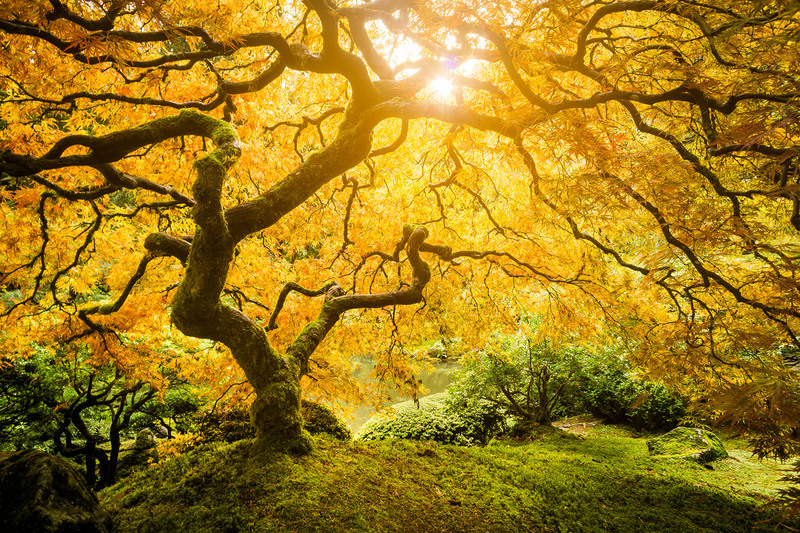 Since then, further “trees” have displayed more plants and animals than bacteria. Last year a tree that included around 2.3 million species listed half of those as animals, and another third as fungi, plants, and algae. Bacteria composed a sliver of the diagram. The new study, however, shows humans and plants are the sliver instead. How were the scientists able to map out a diagram filled with organisms we typically can’t see without the aid of a microscope? Over the years, scientists have developed methods to glean DNA from samples like saliva or mud, and Hug utilized 1,011 of the genomes sequenced from the samples to draw a new Tree of Life. It turns out we frequently discover new bacteria from environmental samples. In the 1980’s, there were about a dozen groups of bacteria. By 2015, that number had jumped to 100 groups, and later that year 35 additional groups were discovered in Colorado aquifer sediment. Jillian Banfield, another author on the paper who discovered the 35 new groups said “We didn’t even have the faintest inkling they were out there.” Her team reached out to other biologists sequencing environmental samples, from Japan to Chile to California. 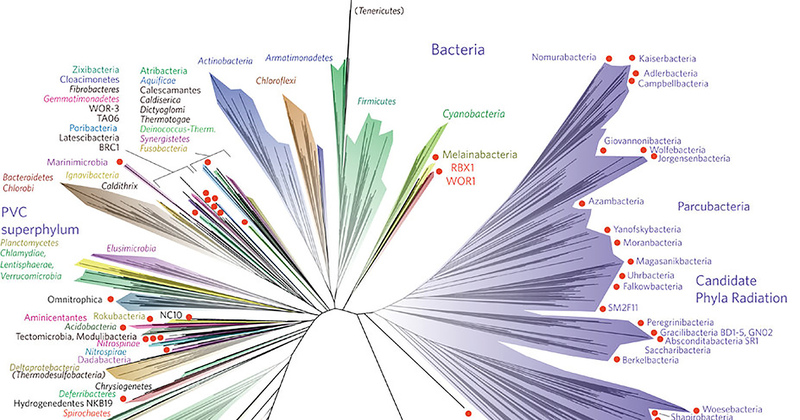 By comparing proteins in the bacteria, Banfield and Hug could determine which were related and which weren’t, and design the new Tree of Life. This new diagram is just the beginning. Hug believes there’s still much to discover. “Exploration of new environments, and deeper sequencing of well-studied systems continue to uncover new organisms and lineages on the Tree, meaning the next decade in environmental microbiology promises to be exciting (and diverse) as well!” she said. Cropped version of the new Tree of Life Diagram, as detailed by scientists led by biologist Laura Hug. 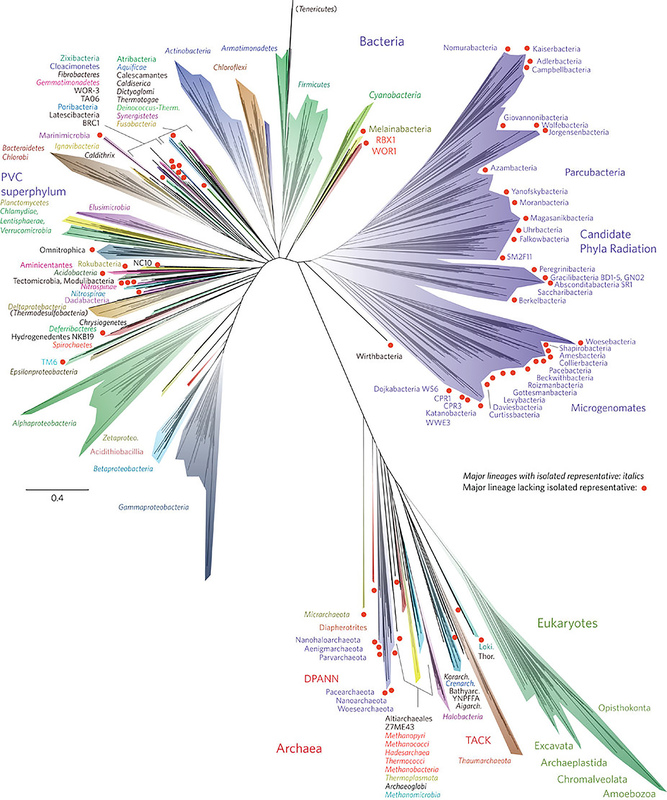 The new Tree of Life diagram more accurately represents life on our planet to show that bacteria overwhelm animal and plant life. There remain countless species of bacteria we have not discovered, which could have exciting implications for pharmacists, chemists, and other scientists.